Croom Concrete offers a range of stair flights to suit every requirement. All our stair and landing units are designed in house, manufactured, delivered and installed to the highest standards. Precast Stairs can be placed along with Precast Concrete Flooring giving immediate safe access to upper floors quickly and efficiently. 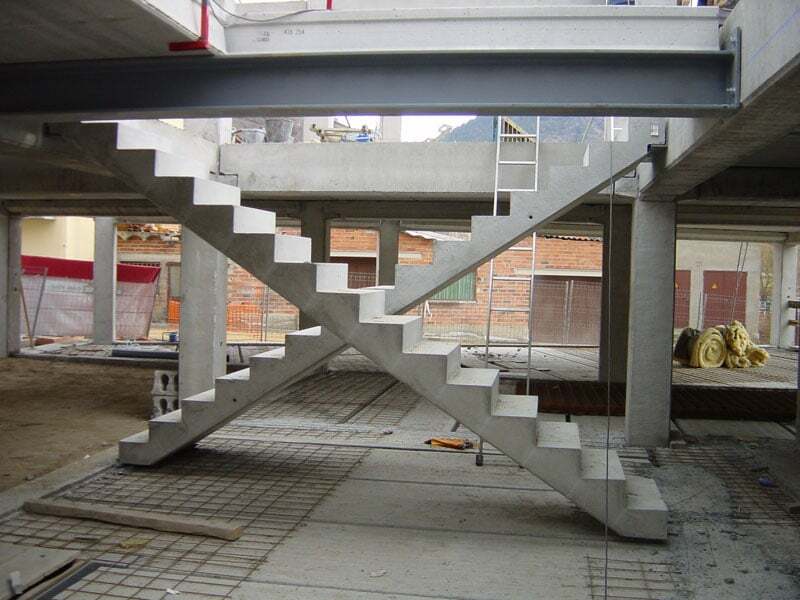 All Precast Stair and landing units are designed in accordance with relevant BS and Euro codes. 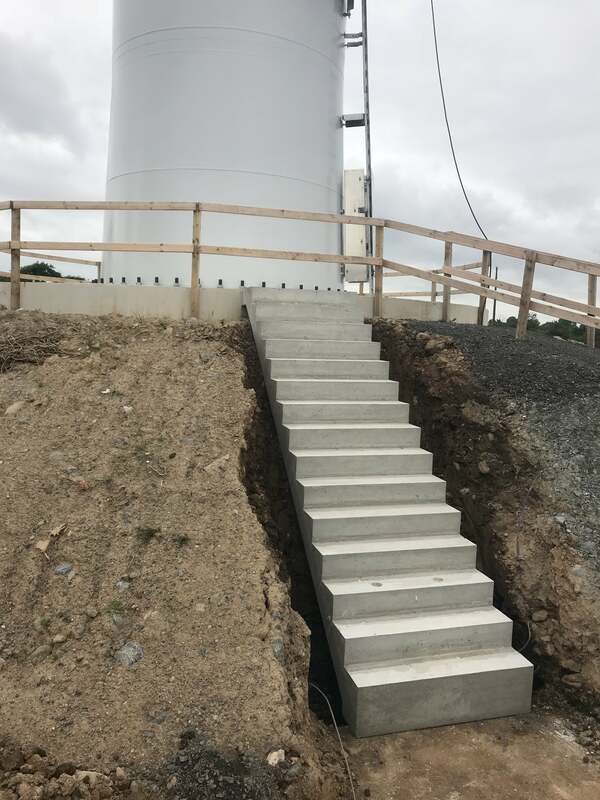 Concrete stairs provide a safe means of escape in event of fire and can be installed instantly, they are used in every development type where there is a requirement for access and egress. Higher Quality Finish – The precast stairs or landing is cast upside down, giving a very good smooth finish to the going and riser – allowing a carpet or any other finish to be placed directly on top. Can accommodate progressive collapse requirements. Installation is not affected by adverse weather conditions. Croom Concrete standard steel moulds can produce cost effective precast stairs. Fixings for hand rails can be accommodated. Anti-slip strips can be accommodated. Croom Concrete Stairs and Landings are designed to BS 8110. Our precast stairs and landings can be designed to suit almost any stair layout.